If Australian footballers require a steely inner resolve to be successful overseas then it is entirely logical that Jimmy Jeggo is forging an exciting career for himself in Europe. The midfielder, who won his first Caltex Socceroos cap in the 3-0 win over Lebanon, has encountered his share of tribulations on the road to the national team. Jeggo was diagnosed with leukemia as a teenager, just as his development as a talented young player was entering an important phase. He spent long stretches in hospital and would have been forgiven for allowing more important matters to blur his focus on football. But as the Austria Vienna player explained in a sit-down with Fox Sports commentator Simon Hill, giving up on his passion was never an option. "As a 16 year old you just want to get back to doing what you love," Jeggo said. "That was always football for me. "In between my chemo sessions I was always going down and training at my local club. "I think the thing it really hammered home to me was just how important football is in my life." 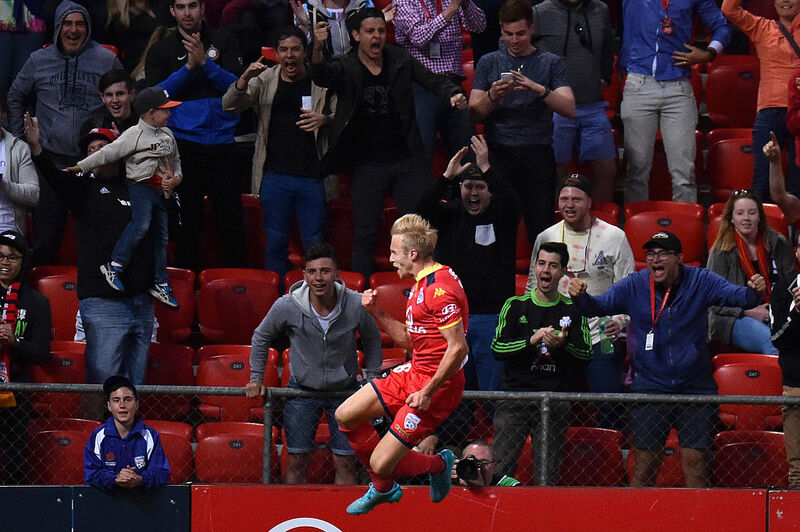 Jeggo got a taste of exactly how enriching the game can be when he joined Adelaide United in 2014. His tough decision to cut ties with Melbourne Victory was rewarded with an FFA Cup triumph and the NAB Young Footballer of the Year award for an outstanding breakthrough campaign. "I loved my time at Melbourne Victory and it was a massive part of my development, but I got to the age where I needed to be playing regularly," he said. "Adelaide and Josep [Gombau] gave me an opportunity and gave me a lot of confidence to go out and play each week and develop. "That year, Josep was brilliant with me. I think my game came on in leaps and bounds. "Winning the NAB Young Footballer of the Year award at the end of that season was sort of real recognition and a confidence booster to say hey, you can go out there, you can do well and you can kick on with your career." Now firmly established in Austria - the country of his birth - and as a fully fledged Caltex Socceroo, Jeggo is doing exactly that.